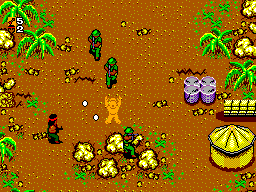 OverviewVertically scrolling shooter in the vein of Commando, where Rambo sets out to murder anyone who gets in his way, and free hostages or blow up police cruisers for power ups! 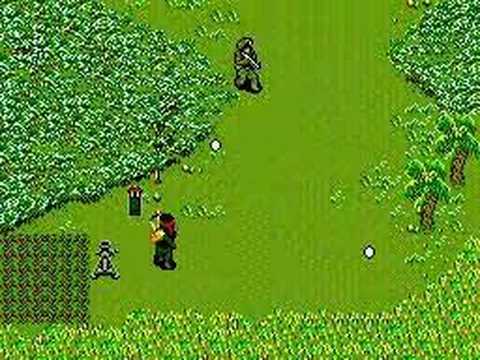 Have you ever wanted to play a slower version of Commando with everyone's favorite Vietnam anti-hero? Look no further than this game. Now you can add videos, screenshots, or other images (cover scans, disc scans, etc.) 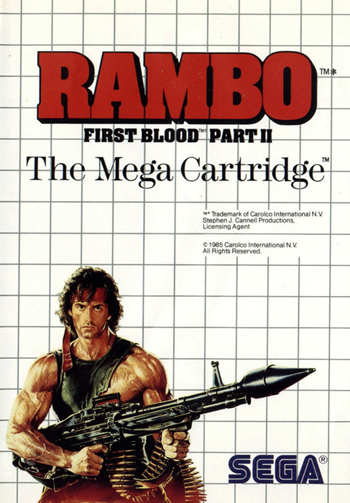 for Rambo - First Blood Part II (USA) to Emuparadise. Do it now! If you haven't noticed yet, we have a retro game of the day feature (top-right of the screen) wherein we feature a new retro title every single day! Now, you can vote for your favorite games and allow them to have their moment of glory. 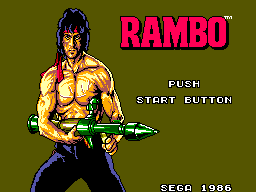 Click on the button below to nominate Rambo - First Blood Part II (USA) for Retro Game of the Day.